I thought it was time for a little language update about our daughter. And I couldn't resist posting this little soundtrack of LJ, now 37 months old, speaking German, English and French while playing (recorded a couple of weeks ago). Her French is very fluent now. She is producing complex sentences and starting to ask things like: "Maman c'est quoi profondément?" [Maman what is 'deeply'?] while reading a book. Her German has picked up very quickly since January. German seems to be the language of play these days. She goes to kindergarten every morning of the week and so hears a lot more than we do and obviously associates German with playing. She mostly says prefabricated sentences (chunks) in German so far, as far as I can tell: Kuck mal [look], nicht laufen [don't run], but has also started making simple sentences. As I mentioned recently, we don't really know how much English she is taking in.We certainly do not really encourage her English (or German for that matter). Her Portuguese is mostly passive. She has little opportunities to speak it and often replies to her dad in French. You can hear what she sounds like these day below. The whole of the recording took place in about 10 minutes an evening before bed time. I cut it down and stitched bits together but they were all within the same play situation. This is not how she sounds when she speaks with someone. This is how she speaks when she plays by herself! You can hear on this recording a lot of code-switching too which is relatively new. She rarely mixes languages within a same sentence. In this extract though French and German are often mixed: "gateau essen", "mein cahier". She also surprised us with a few English expressions (hence me repeating)! Finally, there are a lot of nonsense words (advanced babbling, if we can still call it that). P.S. 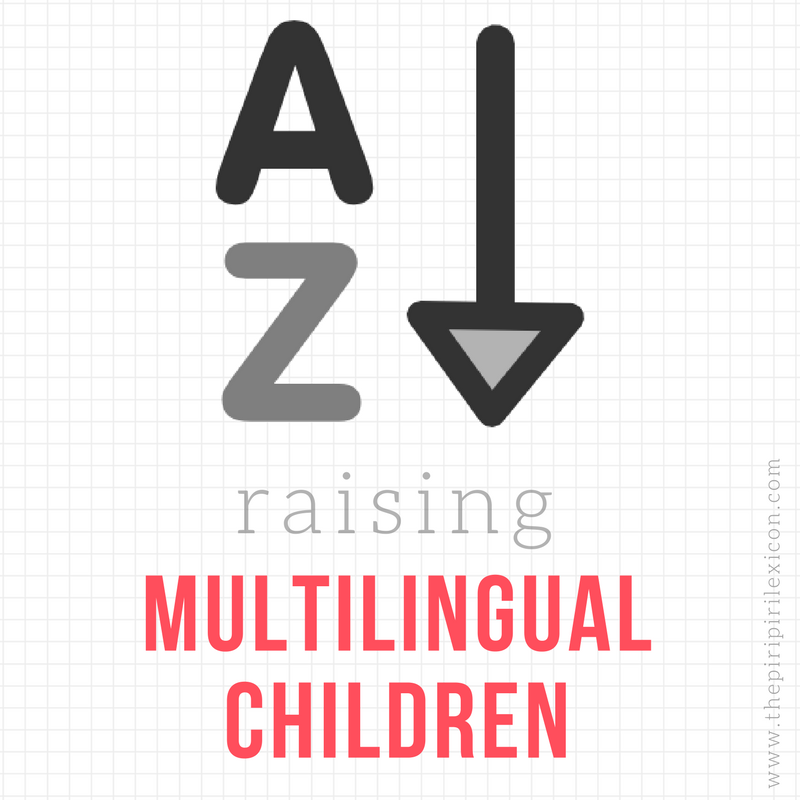 While we are on the topic of language, have you watched this great video of yours truly and 4 other mums of multilingual kids talking about the advantages of multilingualism, tips and ideas? J'adore! 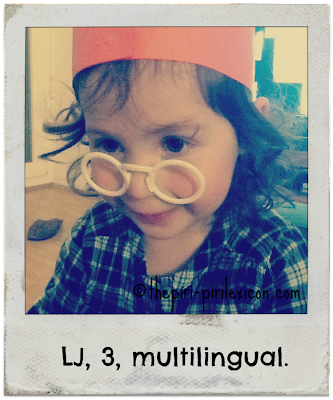 I love that you took an audio clip of your darling girl to document her language development! I notice you respond to her in whatever language she speaks to you in. Is your primary language with her French or do you plan to go with her dominant language? She and I speak French. Sometimes now when she says something in English or German I repeat it but I usually follow with the French equivalent. This play suprised me because it had so many languages in. So I switched too. But this is quite unusual. I see! Thanks for responding! I had just written a long comment and well.... grrr it went a miss. Instead I won't bore you with comparisons to my kids and just say how much I enjoyed this post and the audio clip! Multilingual Mama: the easier is an phone/ipad app that lets you record sounds and then upload to a website like the one I used above.